Super Noto Black Turquoise Need Help? Super Noto is a sophisticated interpretation of classic rounded frames. The model features a sharp, geometric line on the upper part of the frame that gives it a contemporary twist. 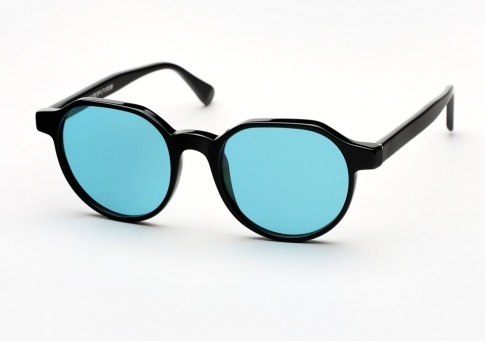 It is offered here in black acetate juxtaposed with turquoise lenses.